You can try MountainScopeTM FREE for 30 days on your PocketPC, TabletPC, or Laptop. We will mail a fully-functional CDROM to you anywhere in the world (for US$5 postage), which will include coverage for your geographic area. This CDROM will contain installations for Windows XP/2000/Vista/Seven and for Windows CE/Mobile, along with aviation and terrain databases. 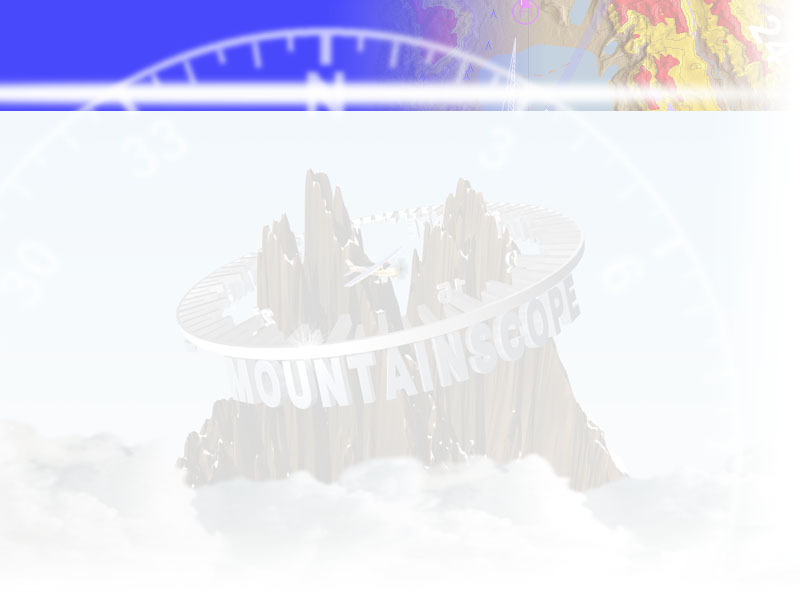 Once installed, MountainScopeTM will require an activation, which is easy to get via the internet. The 30-day trial activation is free... and if you decide to get a full activation, just fill out a single web page to buy it online for $470. This activation will cover one PC/laptop/tablet AND one PocketPC PDA. The only ongoing cost is keeping the aviation data up-to-date, but this is at your discretion. The updates are available every 28 days, and are tracked on a per-download basis. Your full activation includes 6 database downloads, which you can use as often you desire. So, your 6 free updates could last anywhere from 6 months to three years. After your 6 free updates have been used, each update is US$15. You can also buy 12 updates for the price of 9. The program will continue to run on expired database information, but will warn you at each startup. Software upgrades that add features or fix problems have always been free, whether you're up-to-date with the databases or not. Order your Free Trial CDROM today ($5 shipping)! Or, get the trial on a USB flash drive for only $15 more!